This book contains an annotated bibliography of more than 300 books recommended for gifted students, as well as some good advice about the importance of reading and how to encourage it in children and adolescents. Because gifted students often intensely identify with characters in books, it is important for them to read well-written books with complex characters and plots. When the characters in the books face some of the same issues and concerns that the gifted reader is facing, the child gains new insights into his or her own problems or worries, as well as potential ways of handling them. In this way, good books can provide bridges to new insights, better communication of feelings and values, and more thoughtful decision making. Well-selected books also can help gifted children learn new social and emotional skills, while at the same time fostering intellectual and creative development. Publisher Anodyne, Inc. DBA Great Potential Press, Inc. So much more than a "what to read" list, this book explains emotional and intellectual needs of both young and older readers, shows how to organize book discussions, and offers hundreds of ideas for using books to address issues of identity, difference, growth, and intellectual passions. 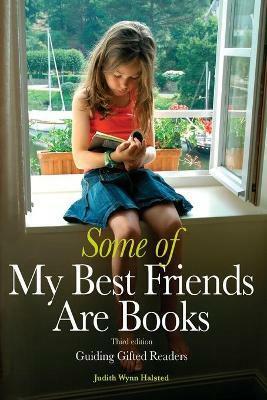 Halsted describes how books can be used to meet both the emotional and intellectual needs of high-ability youngsters. Her extensive selection of books is well thought out and practical. Halsted's eloquent and thoughtful discussion is reassuring to educators, counselors, and parents who want to use high quality literature to guide gifted students...a major contribution. A must-have for teachers, librarians, and parents.... Although I already have copies of all the older editions, I will deﬁnitely add this most recent edition to my collection.